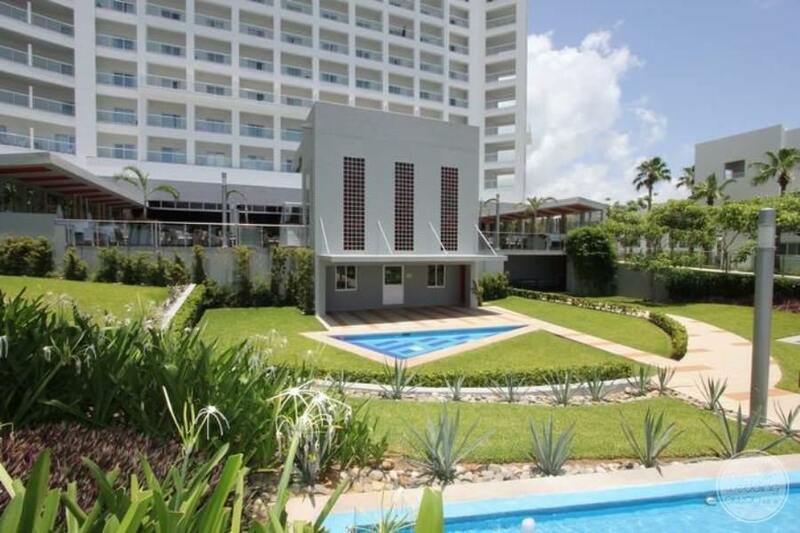 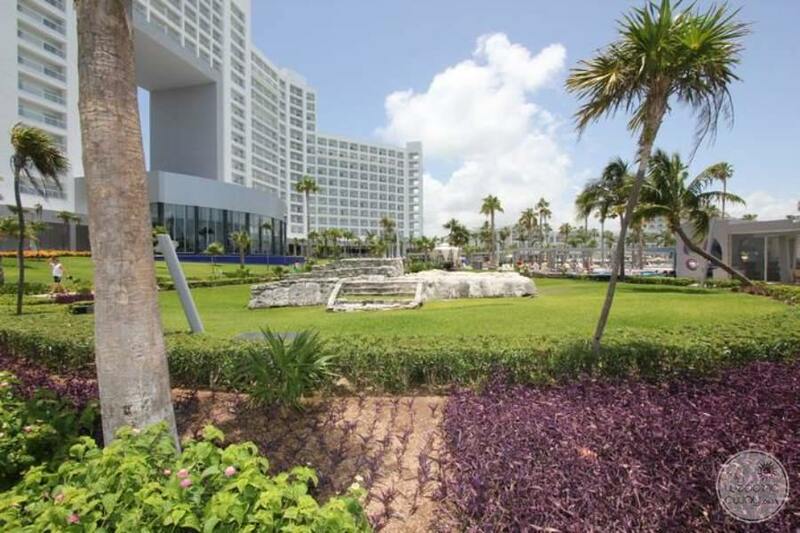 Ideal for: Couples that are looking for a large property that has plenty of amenities but also close to the downtown areas of both Old & New Cancun cities. 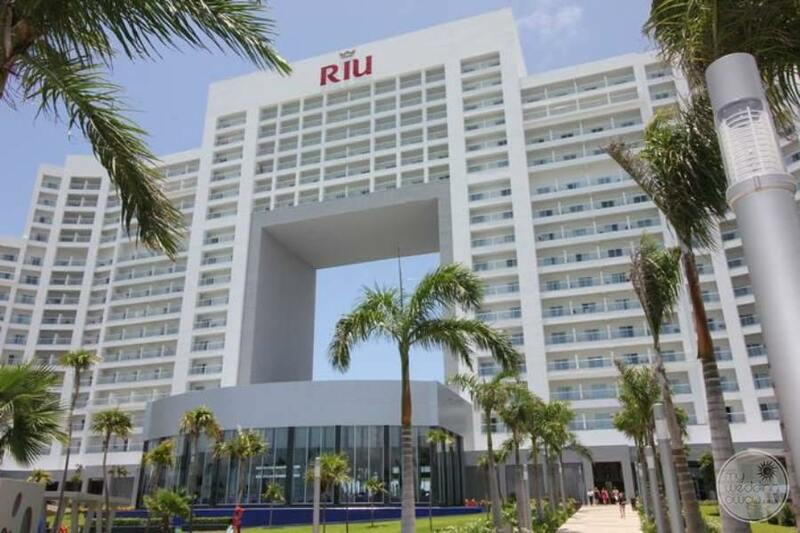 On arrival, you will be first awed by the exterior design of this building which boasts an enormous Hurricane Hole through the main tower, which lets any forcible winds pass thru keeping the noise and comfort levels good. 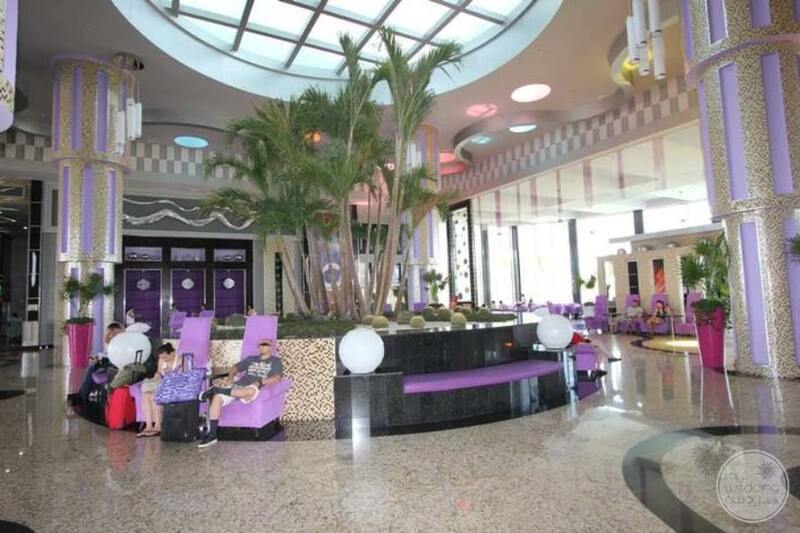 The lobby design is impressive as well, designed in modern art-deco fashion and lots of interesting colour schemes involved. 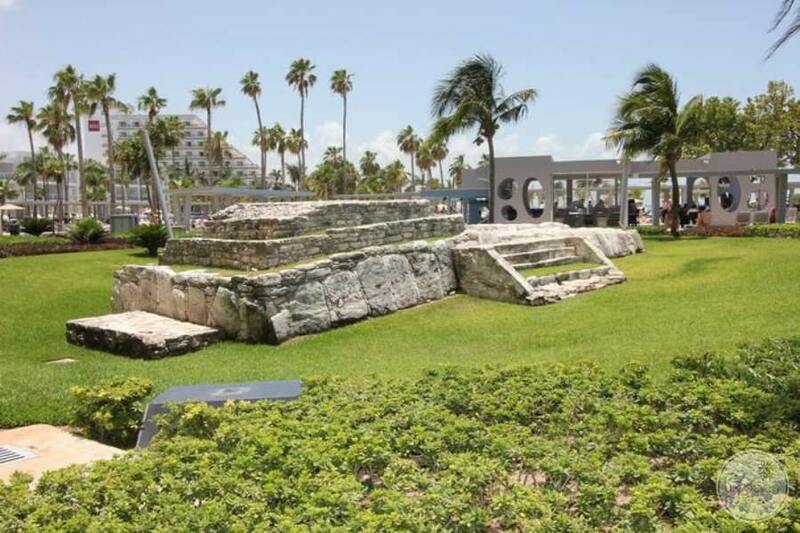 Interestingly, there is an actual Mayan Ruin right on the site which they unearthed while constructing. 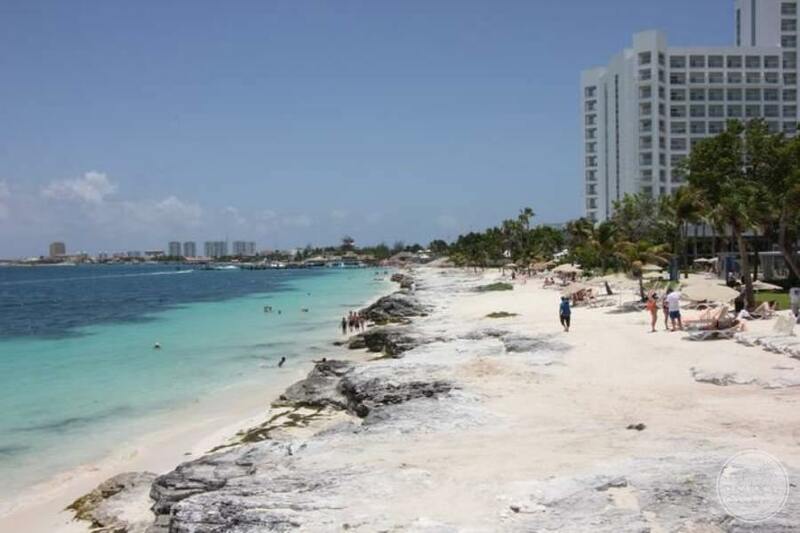 The beach here is made up of fine white sand that you dream about but does have some rocky areas on it. 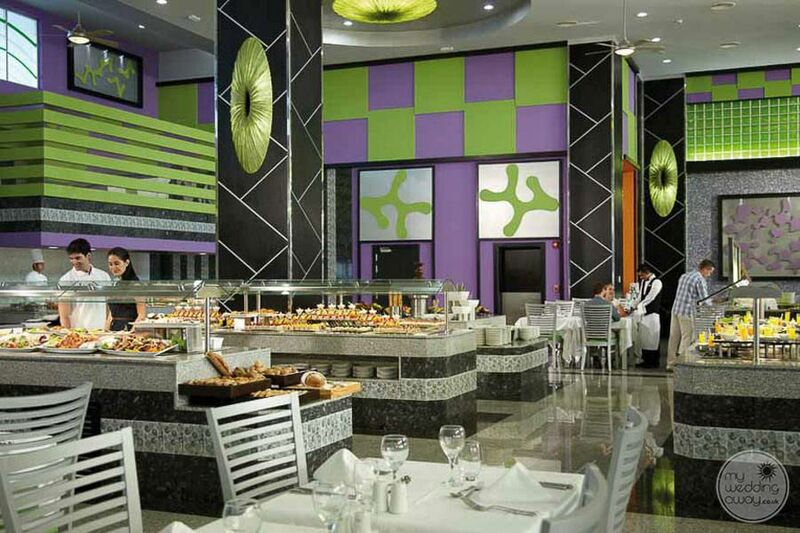 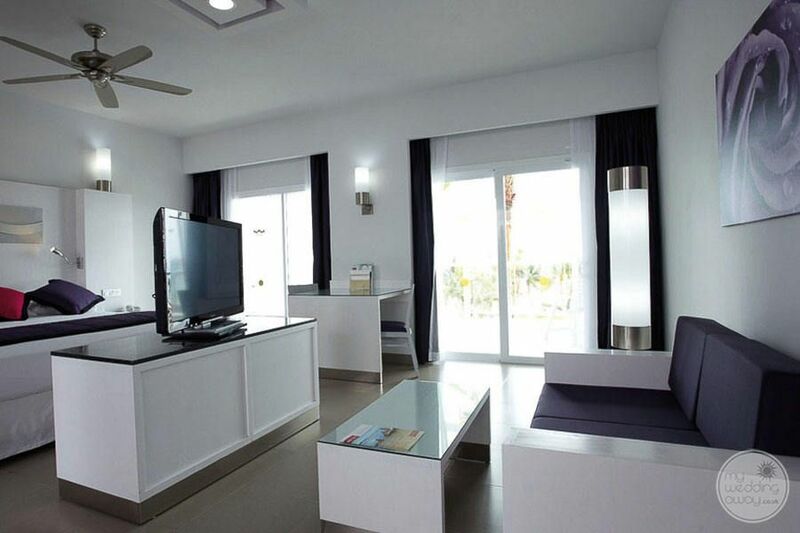 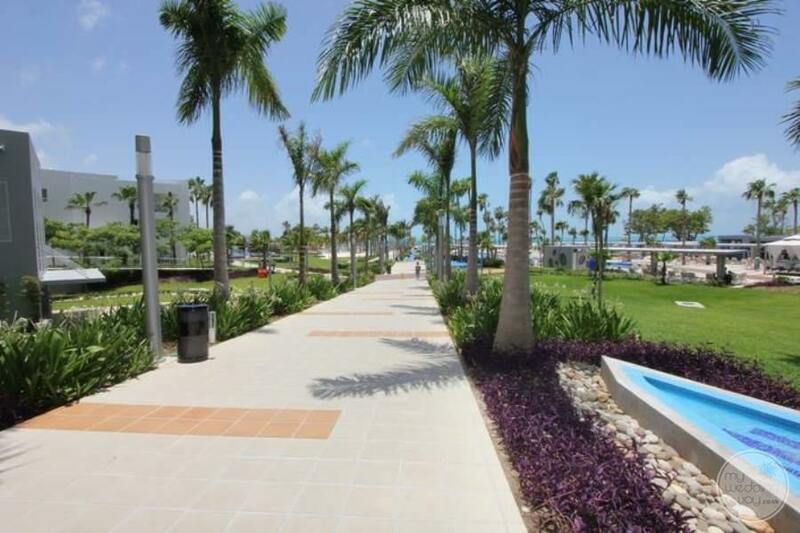 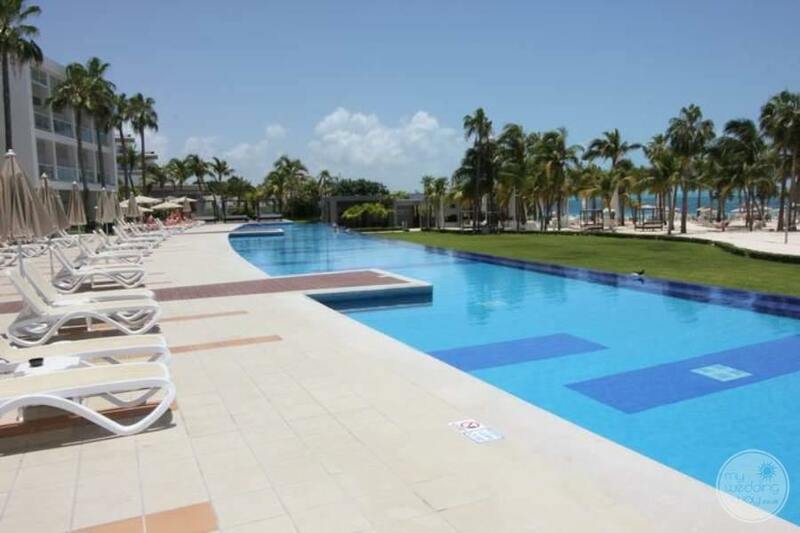 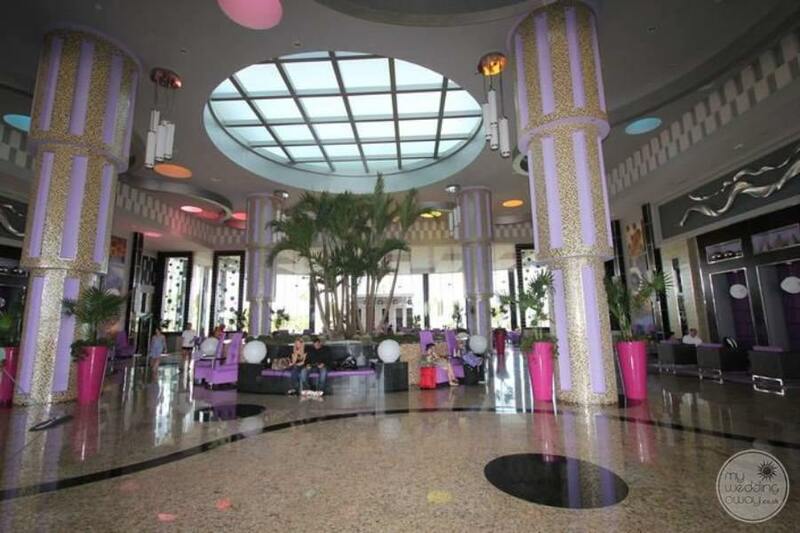 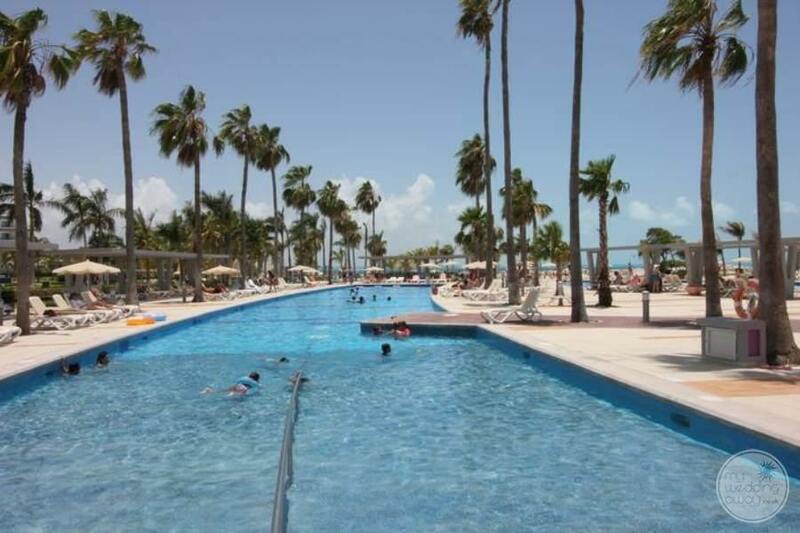 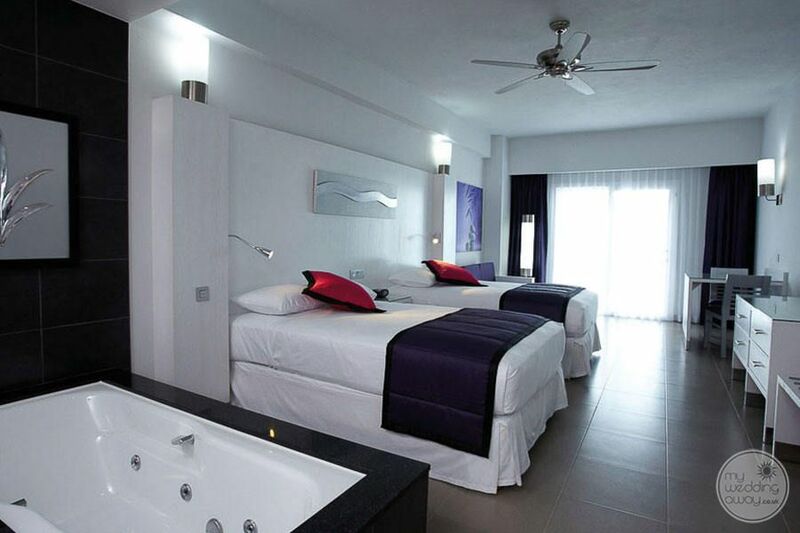 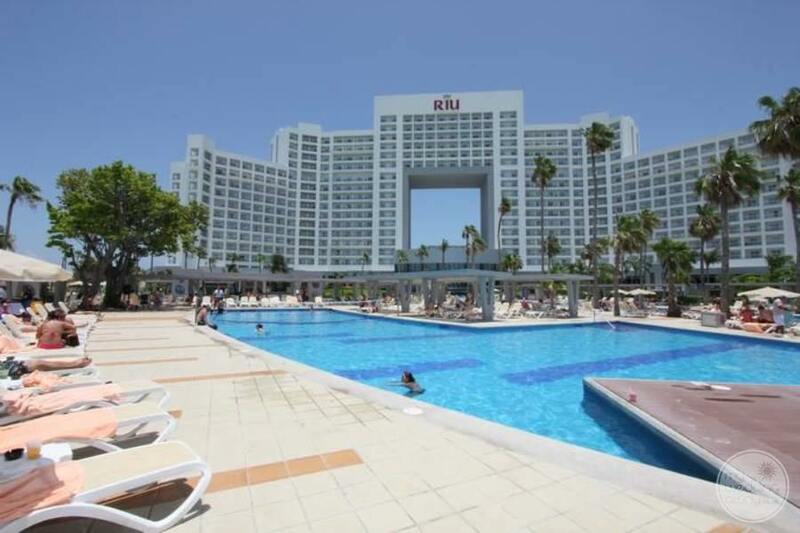 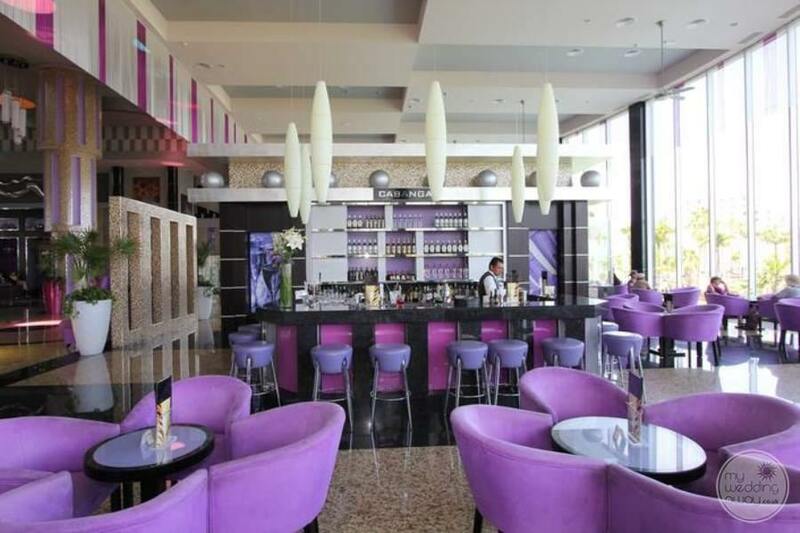 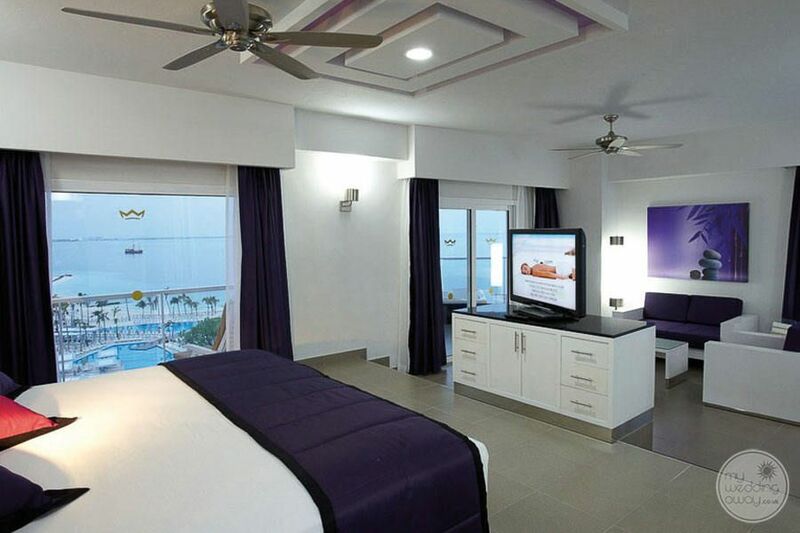 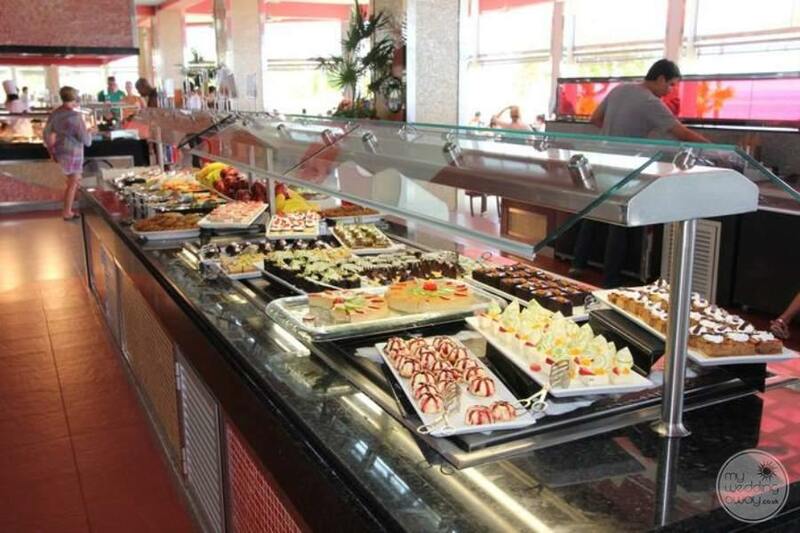 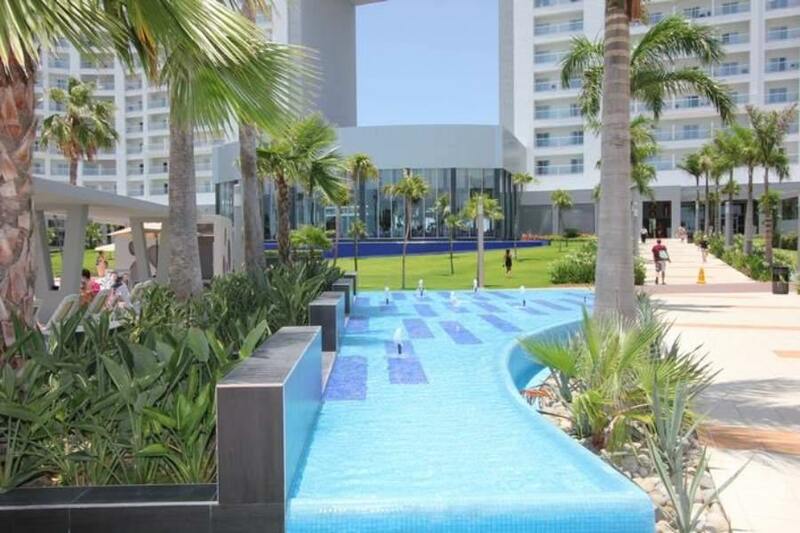 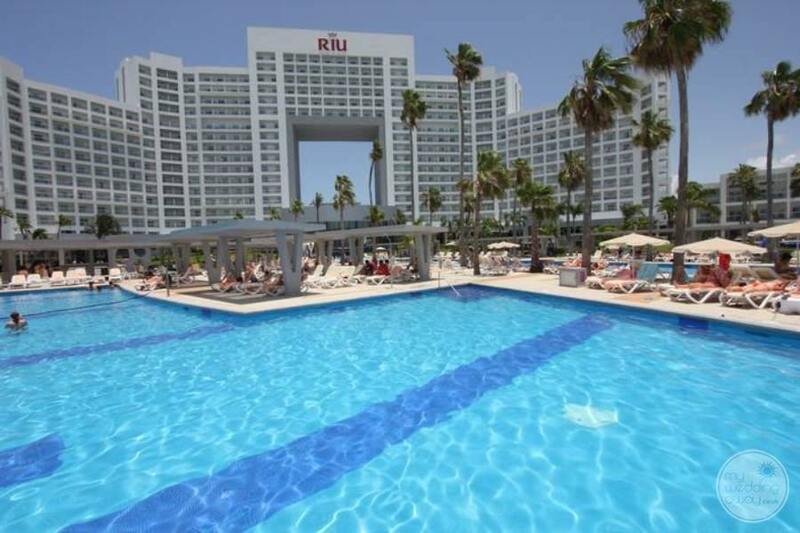 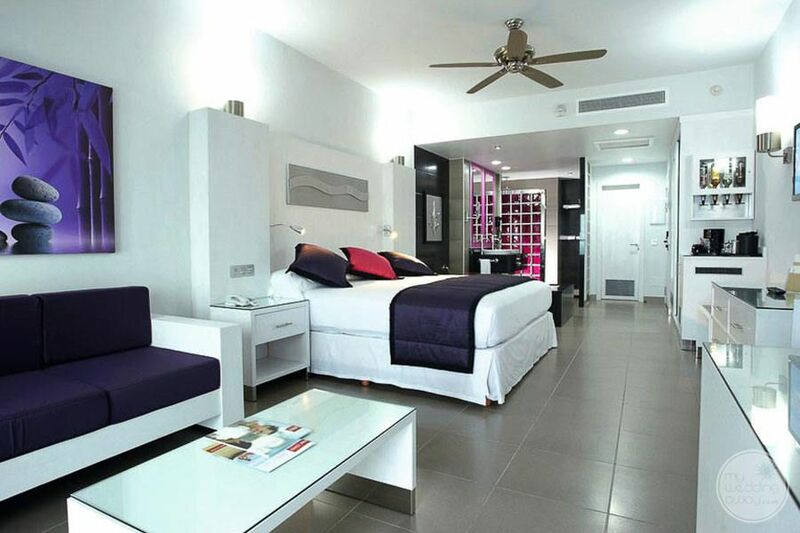 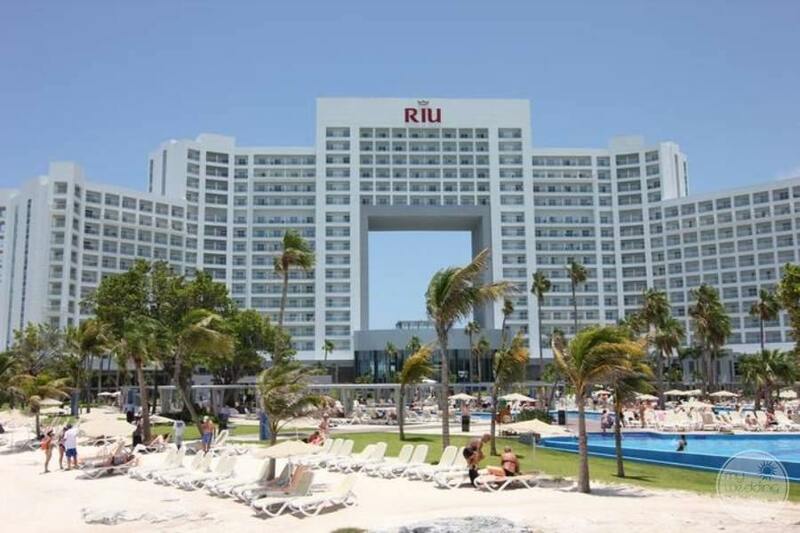 Within walking distance, next door is the sister property, Hotel Riu Caribe which Peninsula guests have access to as well. 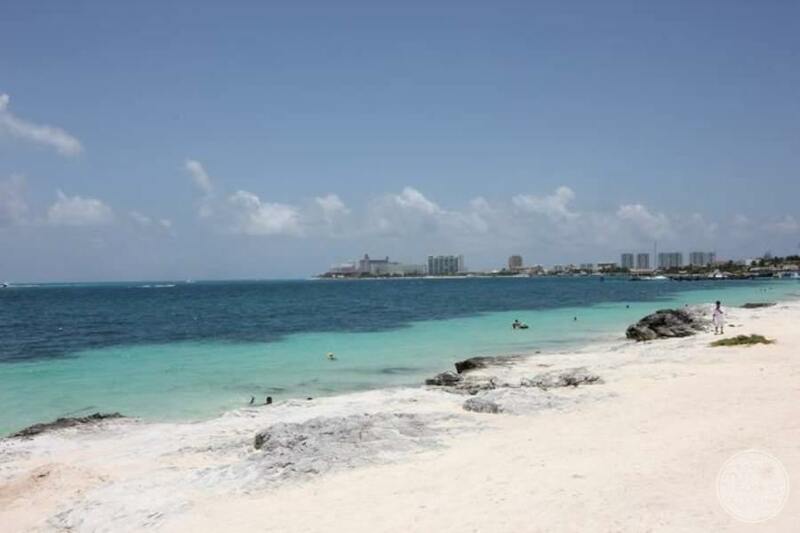 There is a nice Bay between the 2 properties that hosts a great beach and this is where you will find guests enjoying the incoming surf. 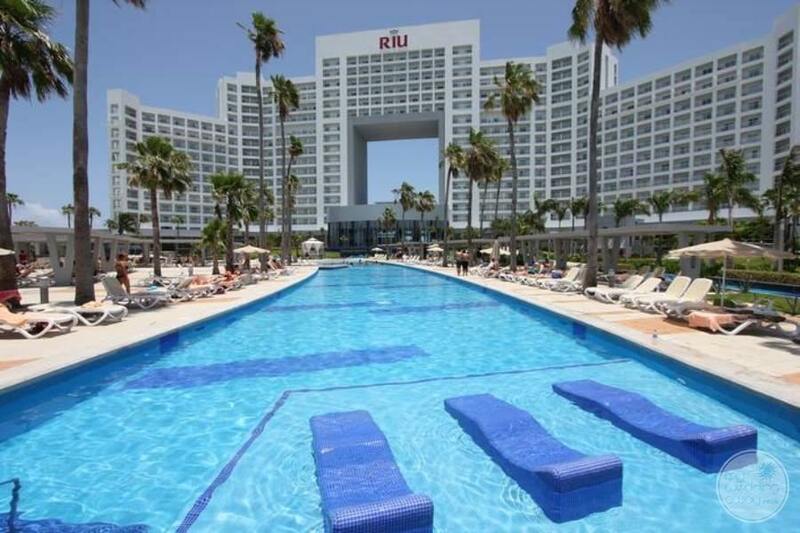 The hight light of Riu Palace Peninsula is certainly the abundance of large swimming pools placed strategically around the pristine manicured grounds. 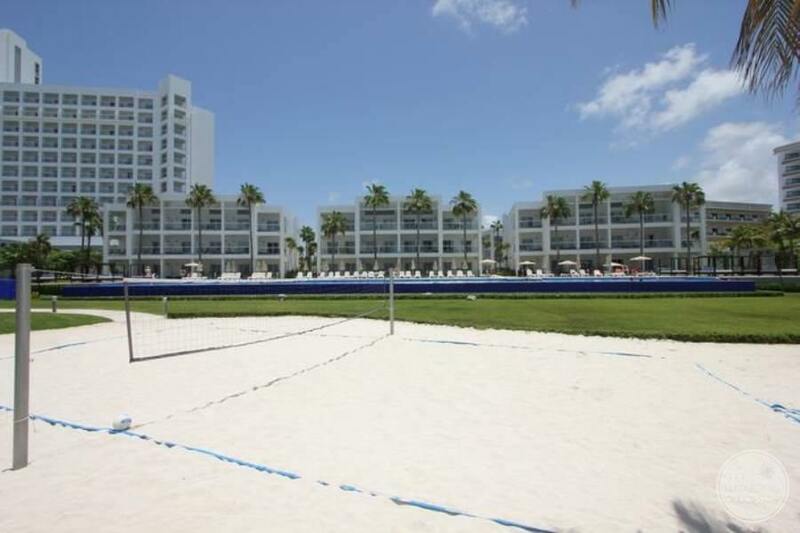 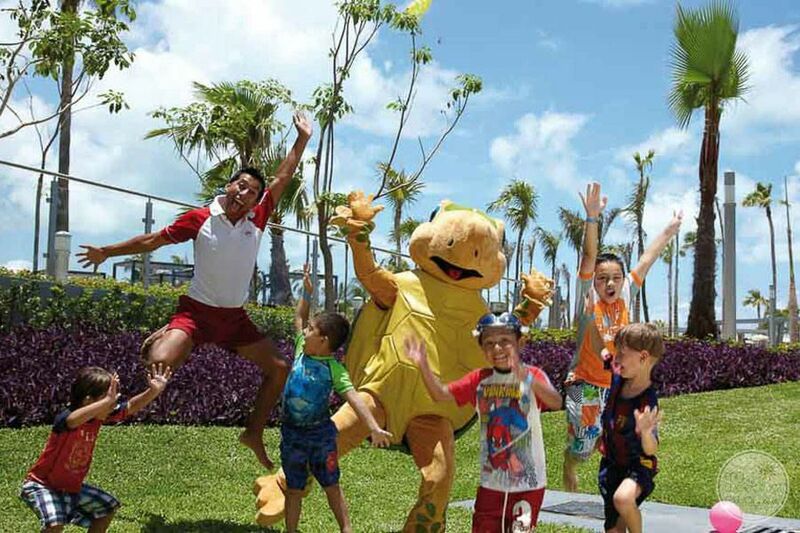 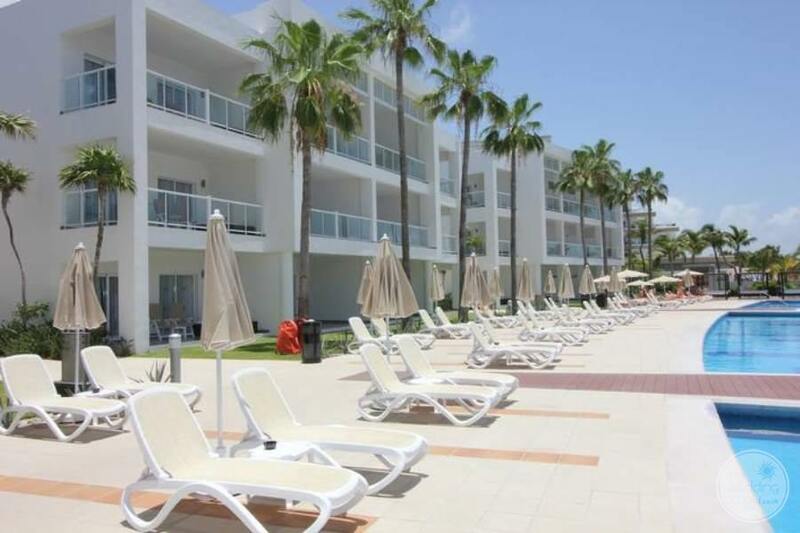 Lots of included activities to do during the day such as beach & pool volleyball, sea kayaking & snorkelling, and some adult poolside drinking games as well. 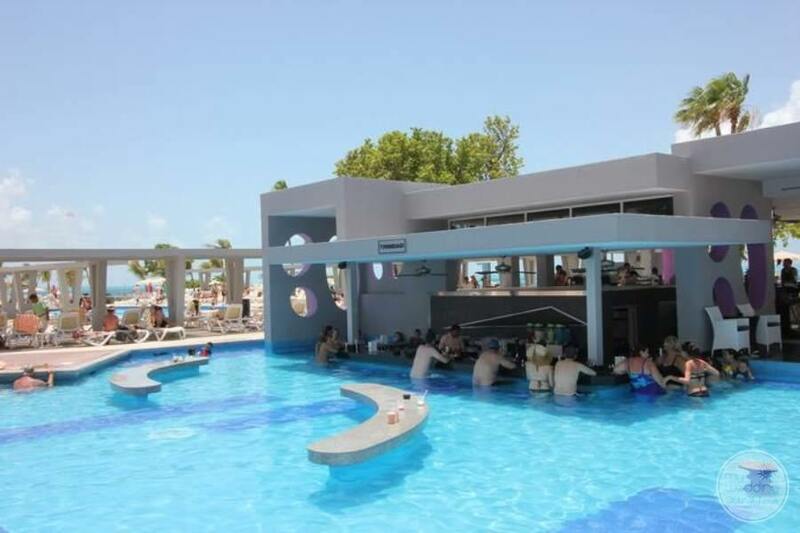 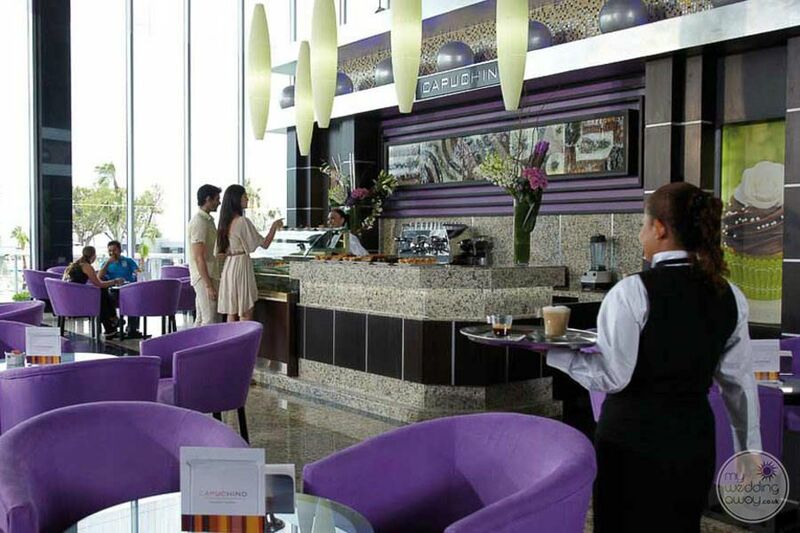 In the evenings you will find live shows & music in different areas that will appeal to everyone in your group. 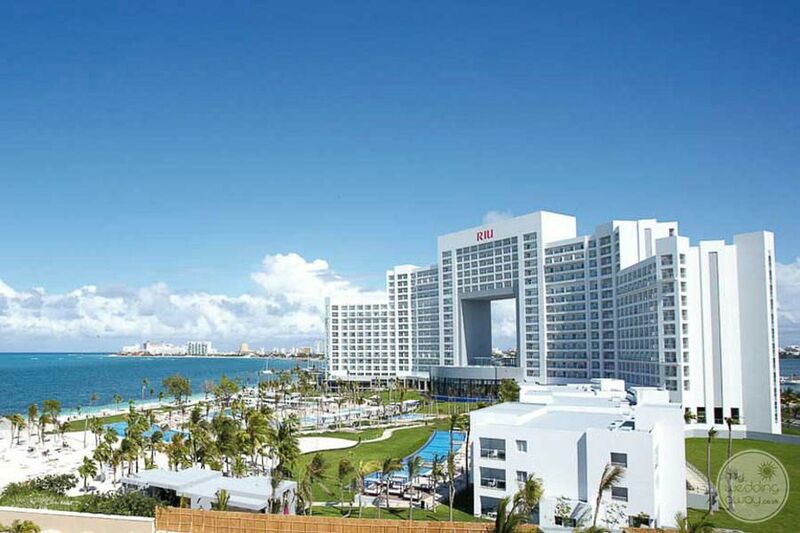 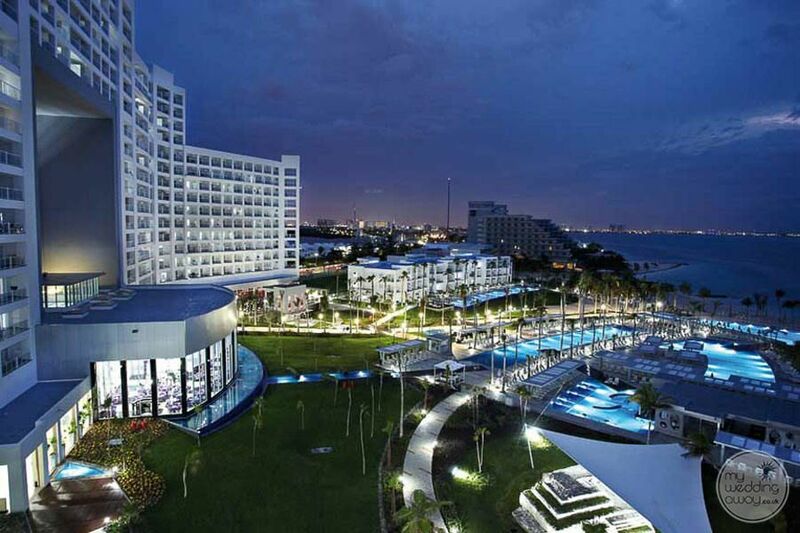 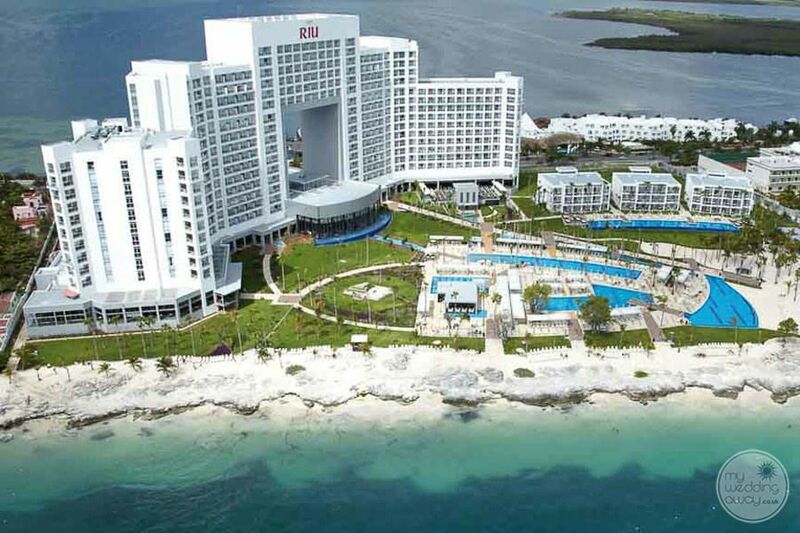 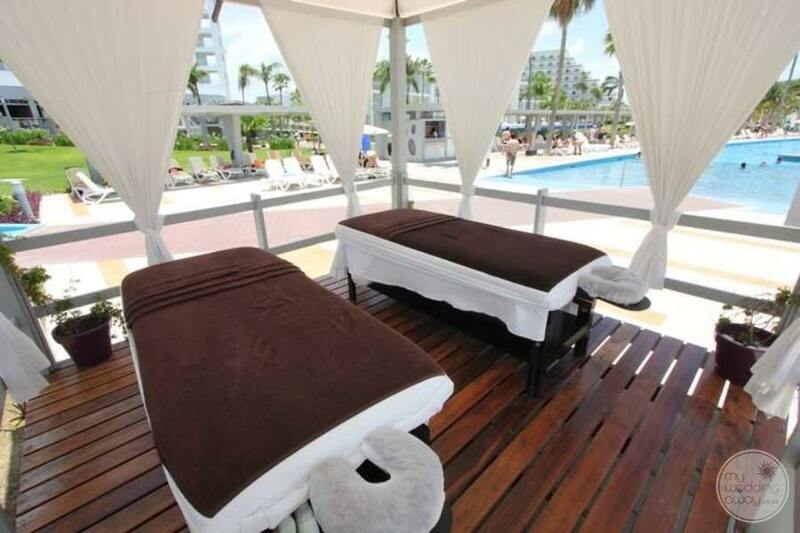 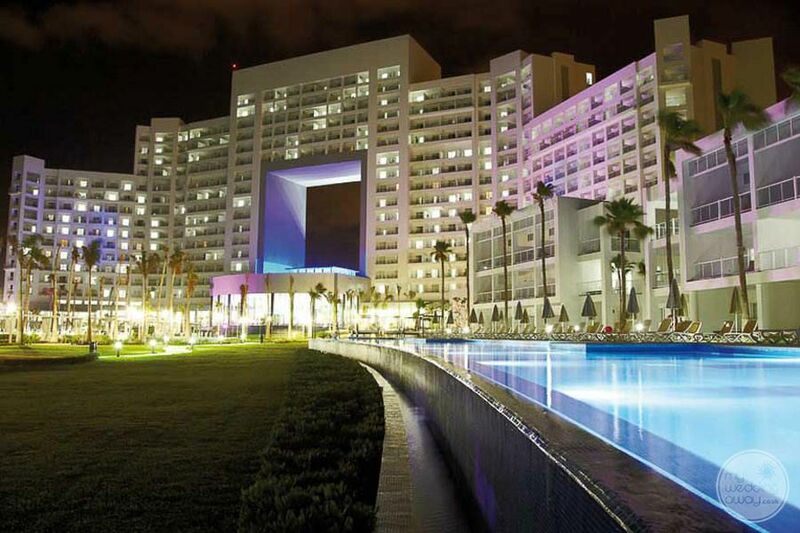 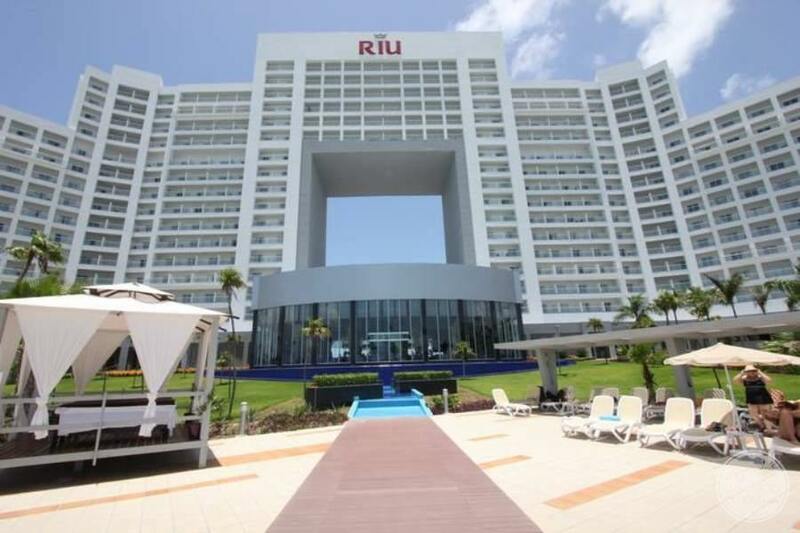 Riu Palace Peninsula Cancun has wedding packages that can accommodate every wedding size. 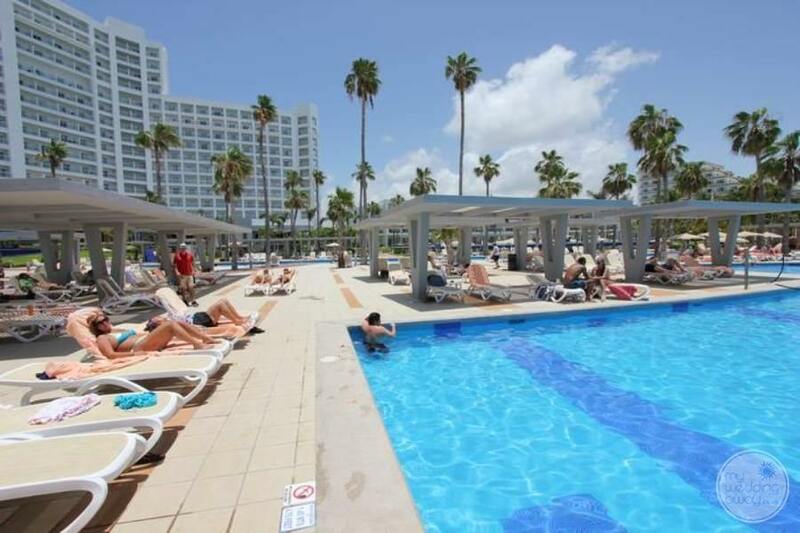 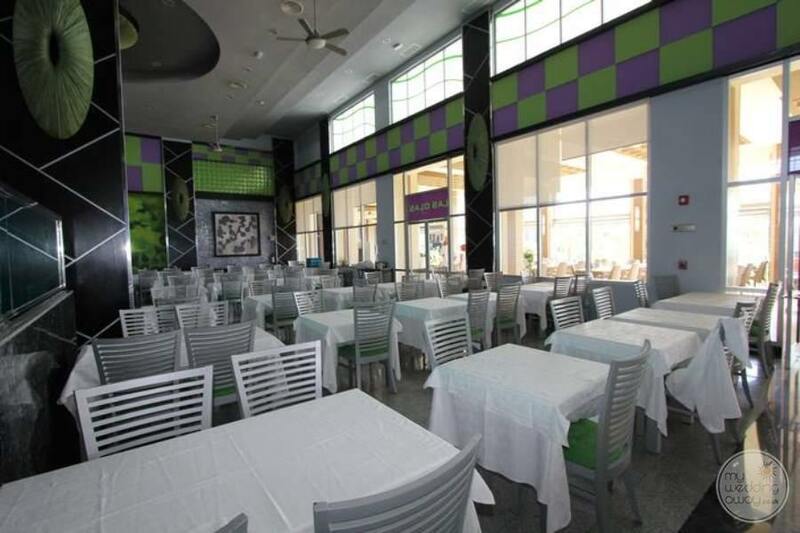 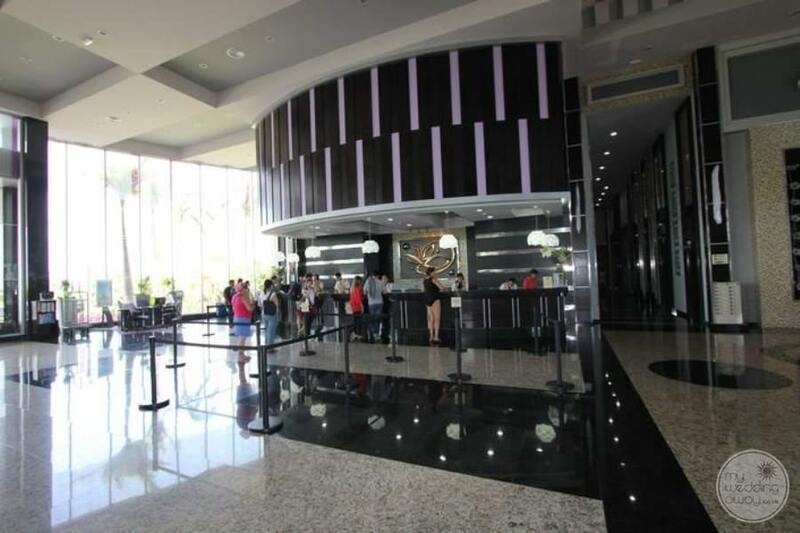 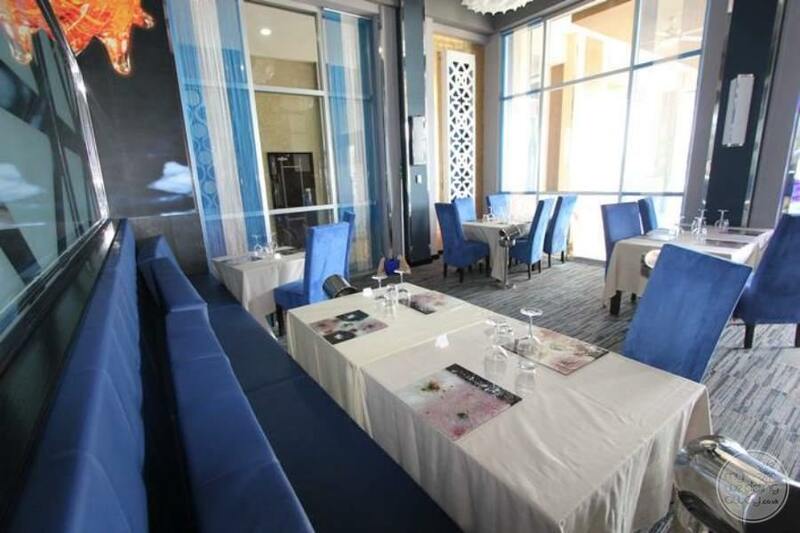 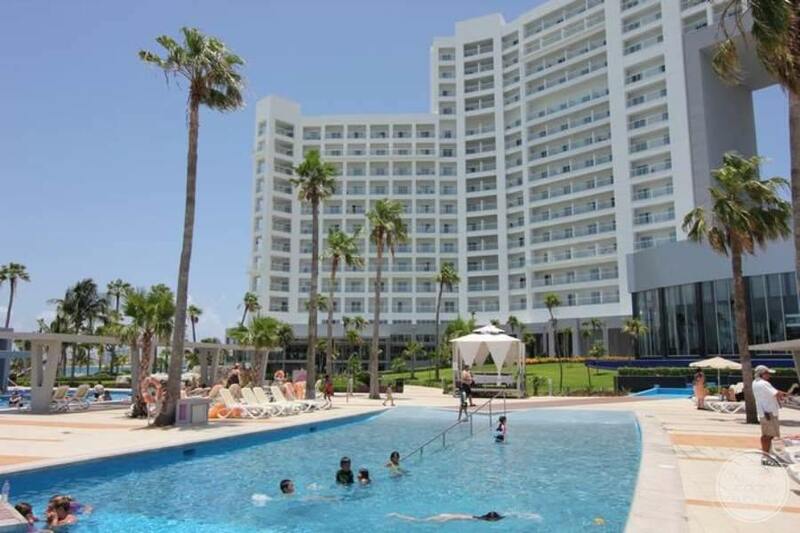 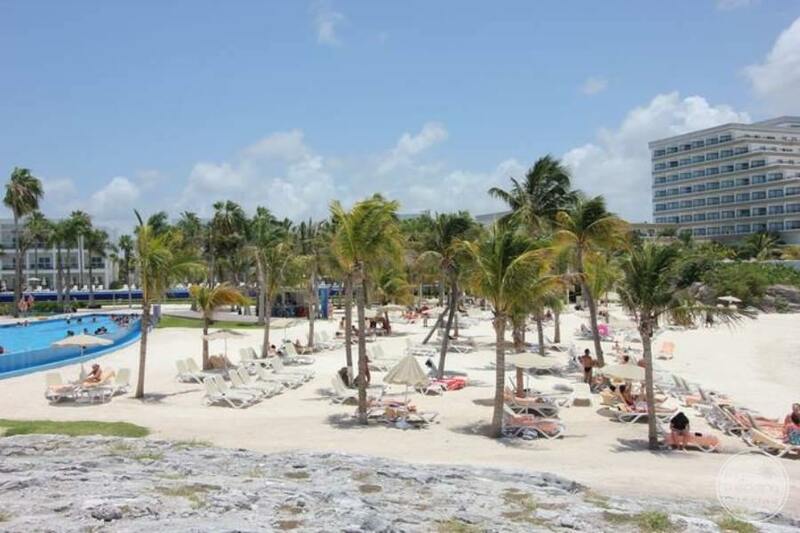 Once you arrive at Cancun International Airport, you are only 30 minutes drive to this resort passing thru the Cancun Hotel Zone firstly and then only 5 minutes to the north is Old Town Cancun.